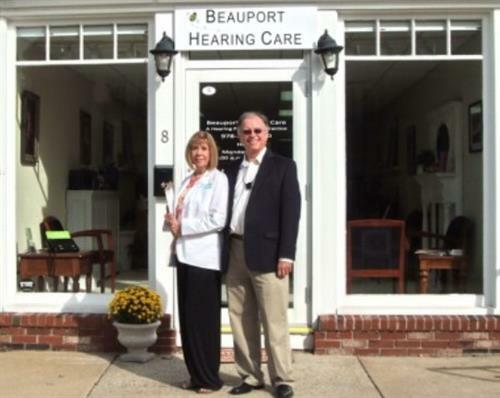 Beauport Hearing Care is holistic hearing health. We test hearing to offer best fit customized hearing aids and services, tinnitus treatment, hearing protection, brain fitness, and aural rehabilitation. We rely on our own hearing aids like our patients. Therefore, we understand the challenges our patients face. Our personal success in hearing informs the skills we coach our patients to employ. If you or someone you love has difficulty hearing or has ringing noise in the ear (tinnitus), come to Beauport Hearing Care for a hearing test and thorough evaluation. Choose to improve your health and quality of life with better hearing and communication. Come join the adventure! Beauport Hearing Care is easy to find in the center of Magnolia, which is the Gloucester neighborhood closest to Manchester. See the map on our website.